At RPM SAC-METRO, we know that even the most thorough tenant screening process can end in an eviction. Unfortunate circumstances can fall upon tenants at any time including loss of a job, divorce, or any other number of circumstances. Some tenants may even give property owners fictitious excuses like, “I gave my friend the rent money and they told me they gave it to you,” or “we just bought a new car and we can’t afford to pay our rent until the 15th of this month.” All property management companies and private property managers have heard the many excuses. While SAC-METRO leasing professionals are kind and sympathetic to those who do fall upon hard times, they also understand that we are a business and need to stay profitable, for ourselves and our clients. 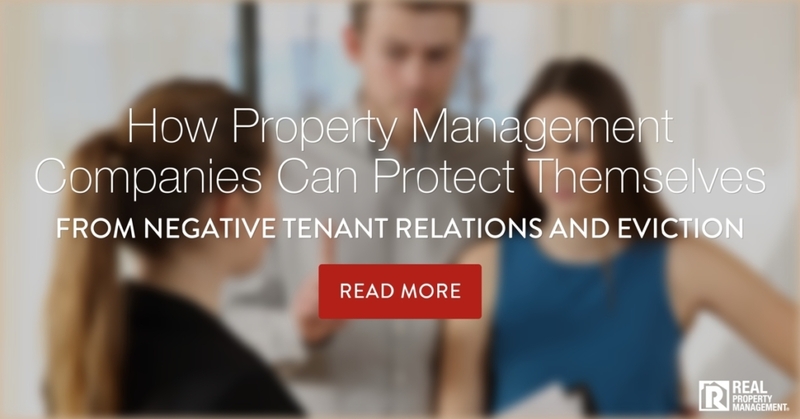 Too often property owners find themselves emotionally invested in a rental property. They feel upset and angry if they find a chip taken out of the wood floor, or a scratch on the freshly painted wall, or a fridge that has dents and dings in it. They expect the tenants to care of the property as they would. Property management Roseville companies like SAC-METRO urge our clients to care enough about their property, but not take it too personally if they find normal wear and tear during inspections. Even the best and most responsible tenants will have normal wear and tear from living in your house. We encourage our clients to think of themselves as a business owner, not a homeowner. Non Payment of Rent: Property management Roseville companies have found that this is the most common reason that tenants end up with an eviction. It comes down to the catchy phrase of “if you can’t pay, you can’t stay.” You can evict someone for nonpayment of rent, but you cannot evict for failure to pay a late fee. Lease Violation: Next in line for most common reasons tenants get evicted is failure to adhere to the lease agreement. Even if it’s just one clause. This may include bringing pets onto the property if the lease states the pets are prohibited, unauthorized tenants living on the premises, subletting of the property, operation of a home-based business, or nuisance complaints from neighbors. Property Damage: While Roseville property management companies expect normal wear and tear, intentional or unintentional property damage is reason for an eviction. Tenants cannot punch holes in the wall if they are struggling with anger management, they cannot lift floorboards to inspect what’s under the house, they cannot graffiti on interior or exterior walls, and they cannot keep so much moisture inside that it causes mildew and mold growth on the walls. Theses are just a few examples. Illegal or Drug Related Activity: It is standard for SAC-METRO to clearly explain in the lease agreement that the use of drugs or any other illegal activity is grounds for an eviction. That goes for drug users and dealers. Expiration of Lease: If a tenant has received proper notice that they are not invited to renew the lease or must lease the property for some reason, but they refuse, now you have what property management Roseville companies call a “squatter.” This is someone who refuses to leave and pay rent at the same time. This action would allow you to move forward with an eviction. SAC-METRO is one of the best known leaders in the industry when it comes to raising the bar on tenant screening standards. Our strict process requires that all applicants who are 18 years of age and older submit a signed and dated application to rent, submit sufficient income proof, pass criminal, credit, and background checks, and have recommended rental verifications. SAC-METRO aims to ensure all parties understand every clause in the lease agreement and we set clear expectations at the time of the lease signing. We also give our residents the convenience of paying rent online and have an automated system that kicks into effect it a tenants fails to pay rent. We adhere to the strict legal counsel given by our in-house lawyers and always follow Roseville property management law as it pertains to an eviction. If our thorough process still doesn’t seem to calm your nerves when it comes to evictions, we offer an Eviction Protection Plan to our clients for a low monthly fee. It covers legal costs for filing an Unlawful Detainer and time in court associated with evictions. For more information on how you can protect your investment property against an eviction, call SAC-METRO today.